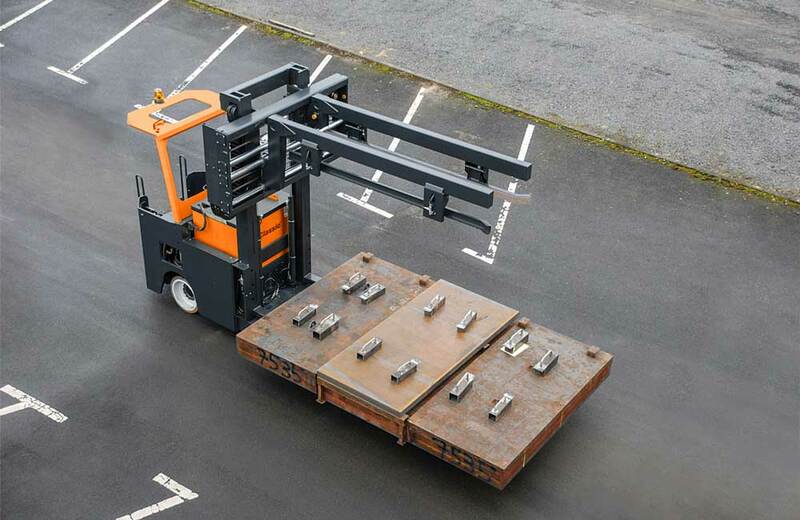 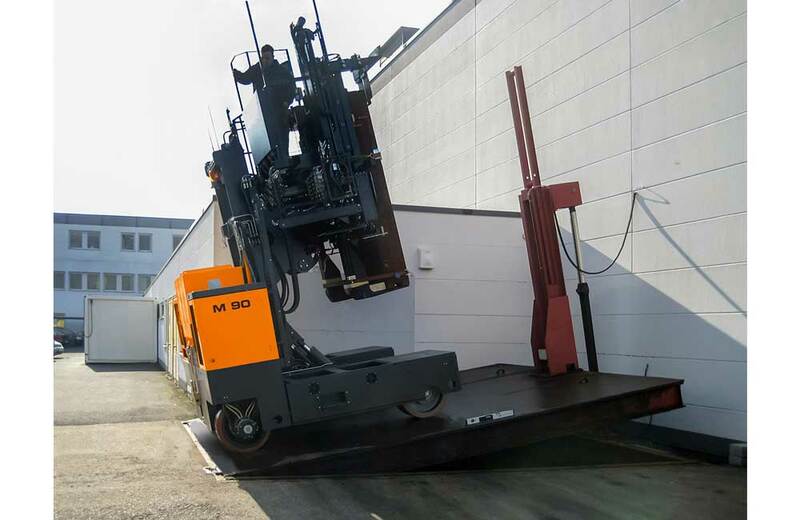 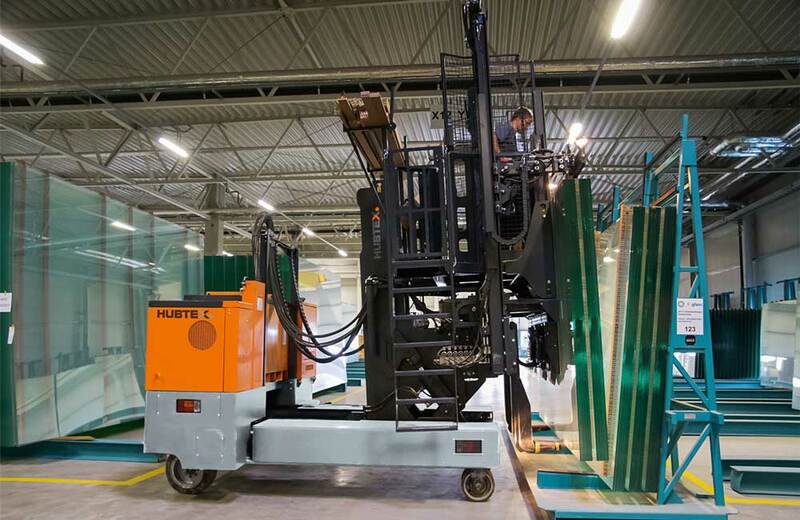 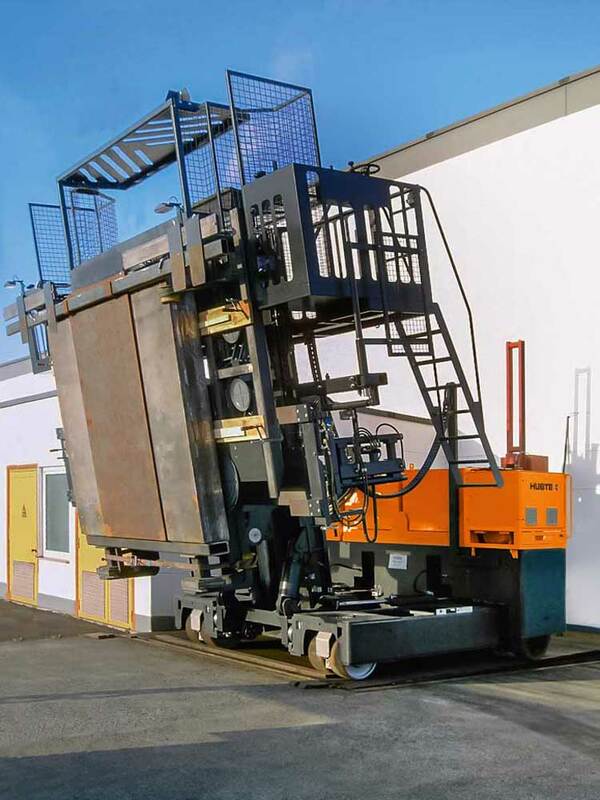 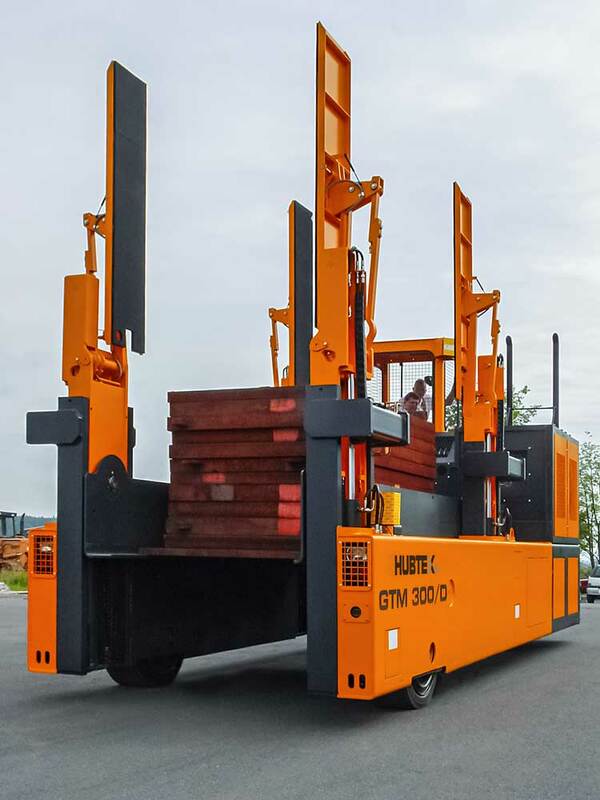 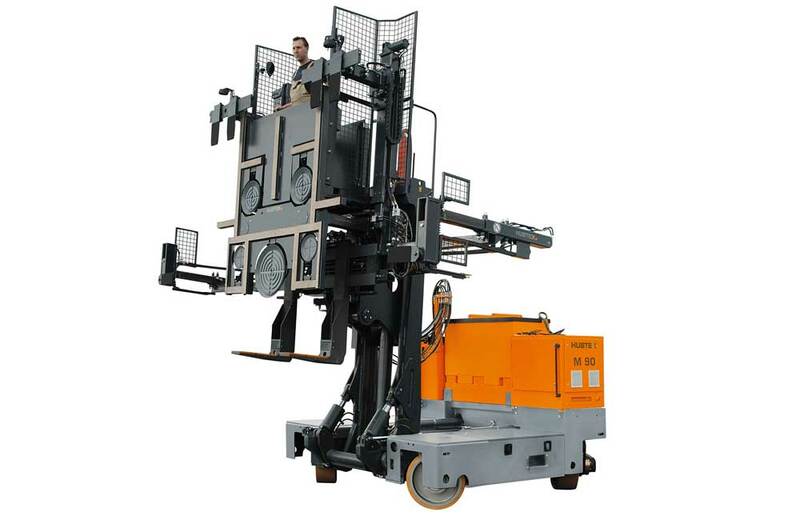 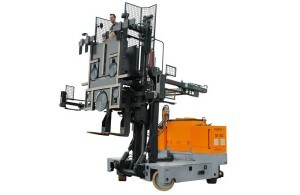 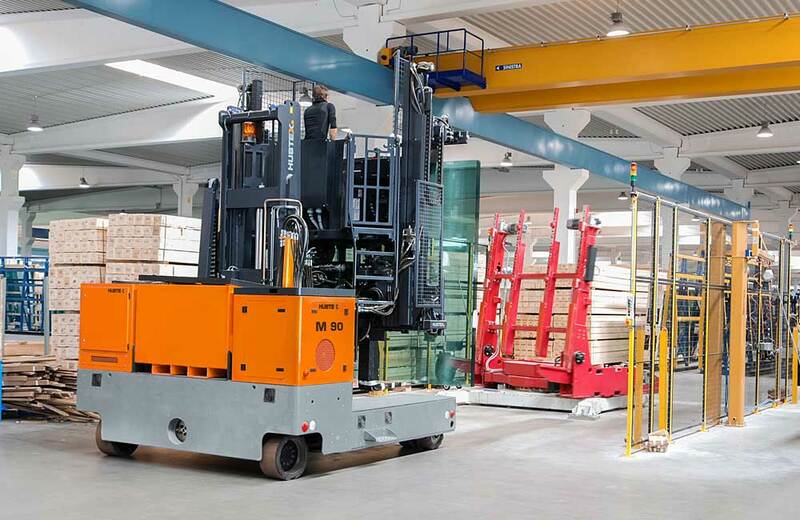 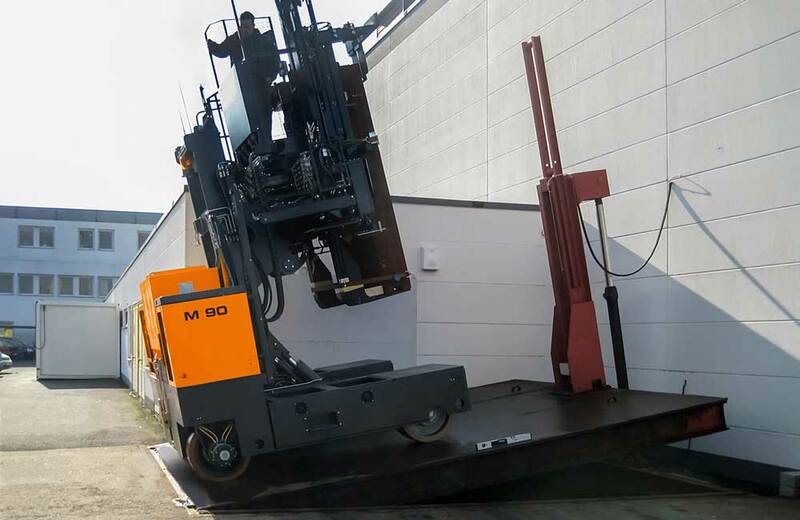 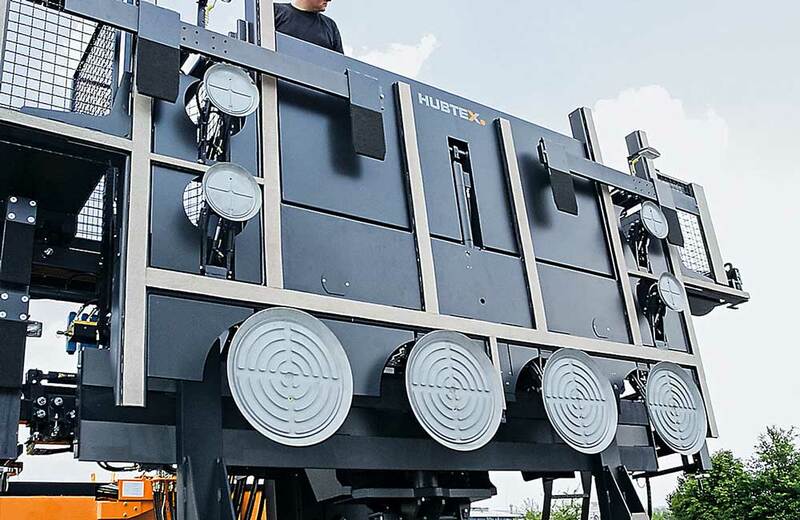 HUBTEX Multidirectional Sideloader M 90 can handle single sheets up to .5 ton and glass packs up to 9 tons. 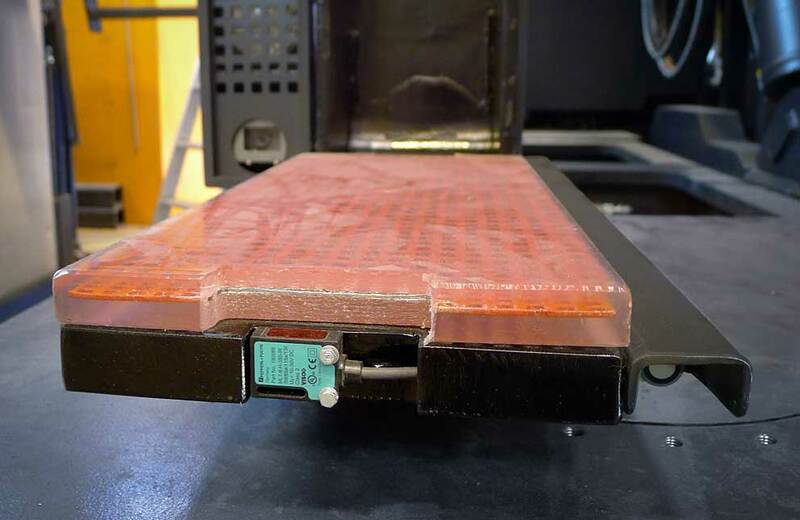 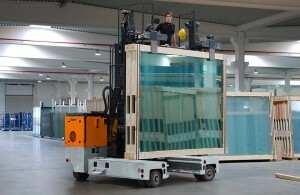 The M 90 is used to handle LES-size and Split-LES glass packs, either unpacked or packed in wooden end caps. 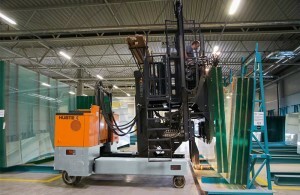 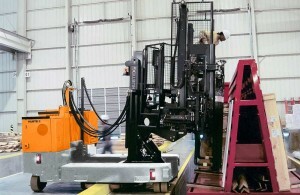 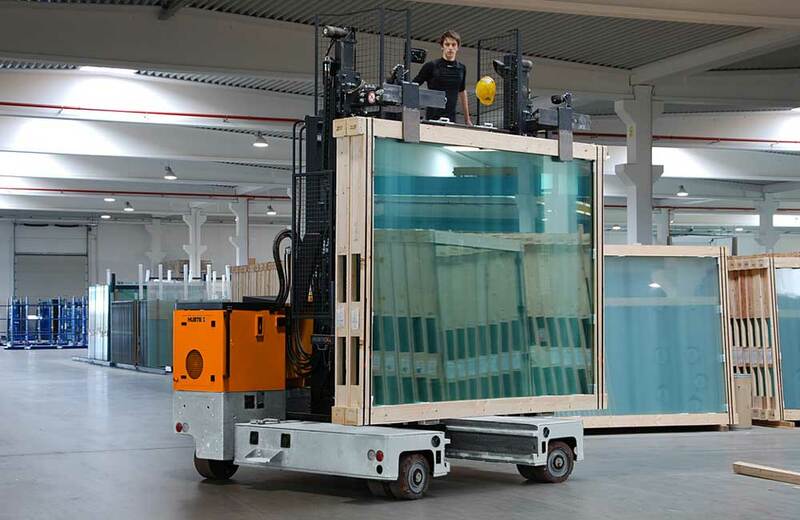 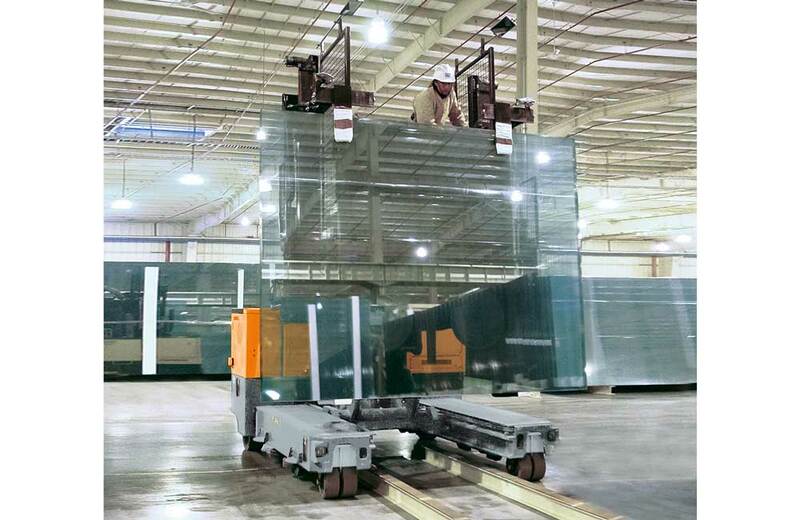 Various glass dimensions can be transported because of the multiple adjustable glass handling attachment. 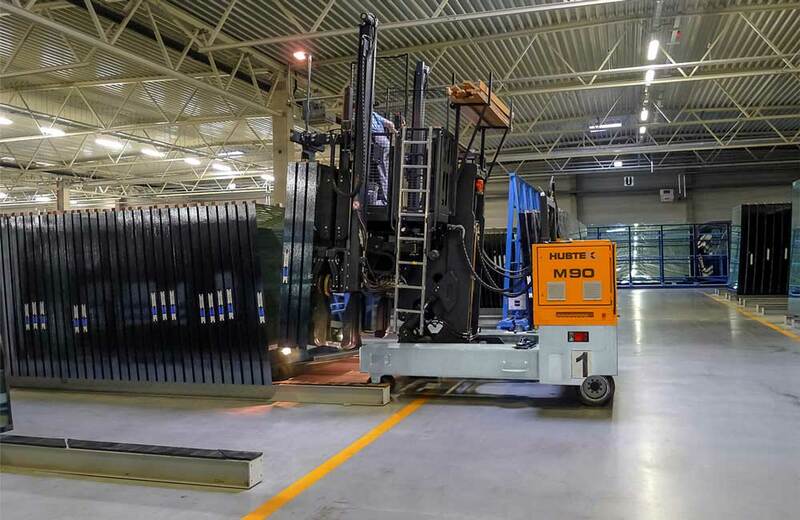 The M series stores glass packs on floor bearers, which increase the storage density and finally optimize the warehouse capacity. 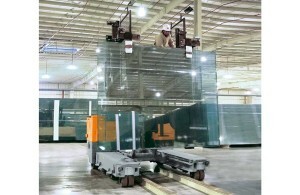 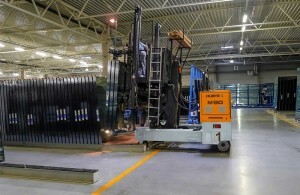 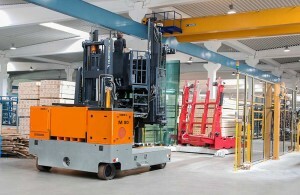 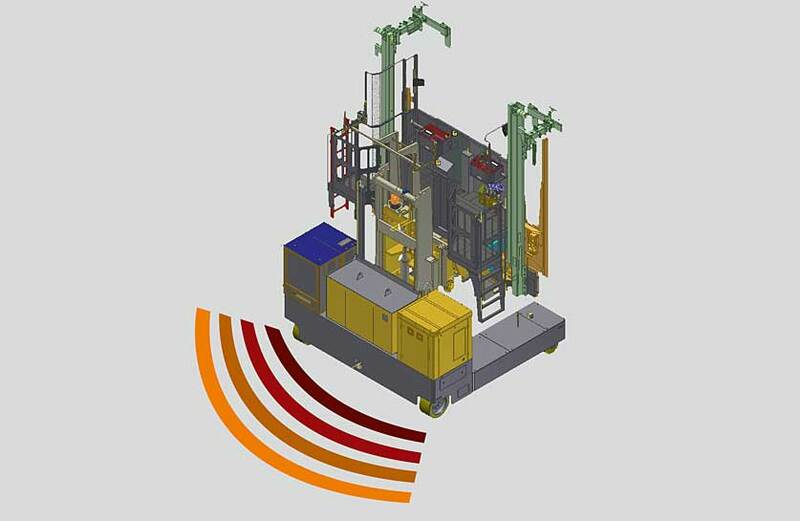 Additionally the M truck performs the order picking by collecting the glass packs and placing them on dispatch stillages.